Immediately following Mr. Donald Trump’s entrance to the White House, Utah’s congressmen and senators asked the president to abolish the latest of U.S. National Monuments, the Bears Ears National Monument, created by President Barack Obama in the final days of his administration. Conservative lawmakers describe National Monuments as “land grabs» and pretend that the federal government, which owns almost half the land in 11 western states in the continental United States, should turn control of much of it over to the states. Wednesday April 26, 2017, an executive order of President Trump instructed Interior Secretary Ryan Zinke to review 27 national monuments, including five ocean monuments, created over the past 21 years, to determine if any of his three predecessors exceeded their authority in setting aside large tracts beyond the land that needed protection. The review is targeted on monuments that are at least 400 km² in size and reaches back to 1996. Presidents can create National Monuments under their executive authority granted by the 1906 Antiquities Act. Mr. Trump described the creation of National Monuments by President Obama as “an egregious abuse of power”. “I’ve spoken with many state and local leaders … who care very much about conserving land and are gravely concerned about this massive federal land grab,” he said. “And it’s gotten worse and worse and worse and now we’re going to free it up. It never should have happened. I am signing this order to end abuses and return control to the people.” The review could result in turning some federal lands, or monuments, back over to the states. The Department of Interior says that it is seeking comment from the public on the monuments. Comments may be submitted after May 12 at regulations.gov by entering “DOI-2017-0002” in the search bar and clicking “Search,” or by mail to Monument Review, MS-1530, U.S. Department of the Interior, 1849 C Street NW, Washington, DC 20240. Six national monuments in California are among those “under review” by the Trump administration: Mojave Trails National Monument (6 500 km², created in 2016, Sand to Snow National Monument (620 km², created in 2016), San Gabriel Mountains National Monument (1 400 km², created in 2014), Berryessa Snow Mountain National Monument (1 300 km², created in 2015), Carrizo Plain National Monument (1 000 km², created in 2001) and Giant Sequoia National Monument (1 330 km², created in 2000). On June 09, 2017, the California Legislature adopted the Assembly Joint Resolution 15, which passed the state Senate on June 08 with a 27-8 vote the resolution is calling for the federal government to protect the monuments. “Instead of wasting federal resources on an unwanted ‘review’ of protections for California’s public lands, the president should use the money to protect our environment, provide health care to America’s working families, restore Meals on Wheels to the elderly, or grant college tuitions and job training to our country’s young people,” Assemblywoman Cecilia Aguiar-Curry. “National monuments protect our environment and support our local economy,” said Sen. Bill Dodd. The resolution carries the support of more than 70 environmental, land protection, conservation, and recreational advocates and organizations. “AJR 15 shows that Californians stand strong against any federal efforts to roll back national monuments protections. From the Mojave Desert to the Coastal Range Mountains to the grassy Carrizo Plains, these monuments are loved for many reasons, including the opportunity to view iconic wildlife such as desert tortoise, San Joaquin kit fox and Tule elk,” said Kim Delfino, California program director for Defenders of Wildlife. 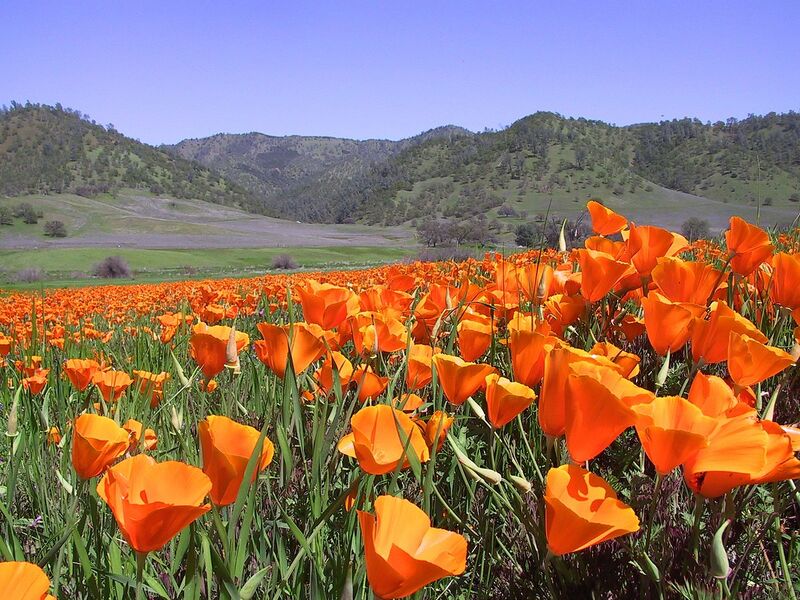 All the six Californian National Monuments encompassing mountain ranges, Mountain Wilderness International supports the resolution voted by the California Assemblies.